Two reasons to celebrate in Nepal: Just in time for Losar, the Tibetan New Year, an end of the supply crisis in the Himalayan state is on the horizon. After more than four months, leaders of the Madhesi ethnic group declared their blockade of the border with India ended. The Madhesi, who live in southern Nepal, felt disadvantaged by the country’s new constitution. Meanwhile, it has been changed in some respects. 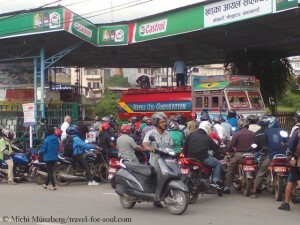 The blockade had paralyzed Nepal. The reconstruction work after the earthquake in spring 2015 had come to a virtual standstill. Fuel and building materials as well as food and medicine had run short because the imports from India had been staying away. Since the weekend, tank trucks are rolling towards Kathmandu again. He is the doyen of the western expedition operators. The New Zealander Russell Brice has been leading expeditions to the Himalayas since 1974. Hardly any of his colleagues has so much experience as the 63-year-old head of Himalayan Experience, not only in organizing trips to the eight-thousanders but also in dealing with the authorities. It is something that has almost been forgotten, that Russell at an earlier age was an excellent high altitude climber – and an Everest pioneer: Along with the Briton Harry Taylor he first climbed the Three Pinnacles on the Northeast Ridge in 1988. 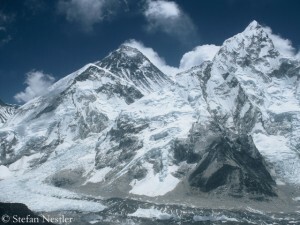 Russ, for this spring Himalayan Experience is offering expeditions in Nepal to Mount Everest and Lhotse. How great is the demand? Very small numbers compared to past years. Do you notice an impact of the events in 2014 (avalanche in Khumbu Icefall) and 2015 (earthquake and avalanche that hit Everest BC) on your client’s attitude? If there is a season, which stands for optimism, it’s spring: Winter is leaving, it’s getting warmer, brighter, more colorful. This may entice people painting the world more beautiful than it is soberly assessed. 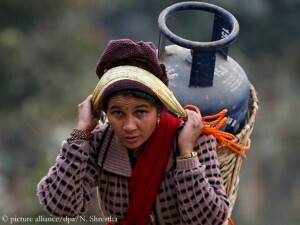 Also the people in Nepal long for spring, in the hope of better times. 2015 was a bad year for the country. 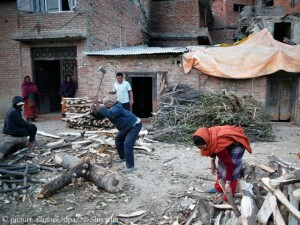 First the devastating earthquake in spring that killed according to official figures more than 8800 people. And were this not bad enough, the blockade of the border to India, now continuing for almost four months. 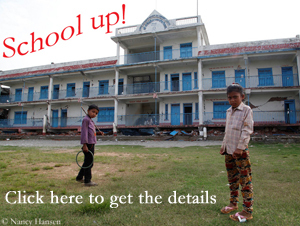 There is still no sign of spring fever in Nepal. The fall season in the Himalayas is not over yet. 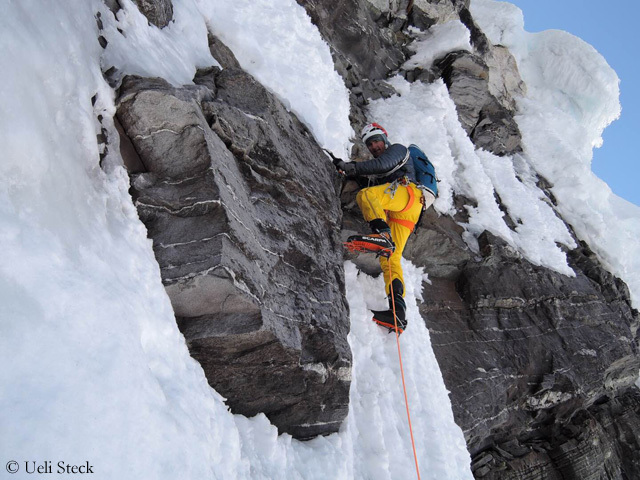 Although the expedition on Mount Everest as well as those on the eight-thousanders Makalu, Dhaulagiri and Annapurna were recently canceled due to dangerous conditions on the mountains, there are still a few climbers under way on the highest mountains. So the team of South Korean Sung Taek Hong, who wants to tackle the Lhotse South Face again, decided in favor of a later expedition start. And also Swiss climber Ueli Steck and American Colin Haley have just completed their acclimatization. They did it on separate ways. Steck climbed along with Tenji Sherpa through the North Face of the 6,640-meter-high Cholatse. “That was pretty cool. 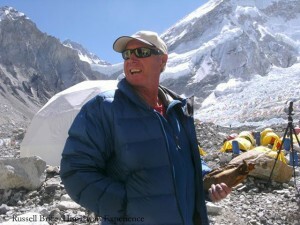 He is the first Sherpa who climbed this wall”, Ueli writes to me. “It’s nice to see how a ‘new’ generation of Sherpas is growing up, who are really interested in climbing and not just in business. I think that’s awesome!” Steck and Haley want to first repeat the extremely difficult route via the Southeast Pillar to the summit of the 7,804-meter-high Nuptse East which was opened in in 2003 – but contrary to the first climbers, the Russians Valerij Babanov and Yuri Kosholenko, in Alpine style. 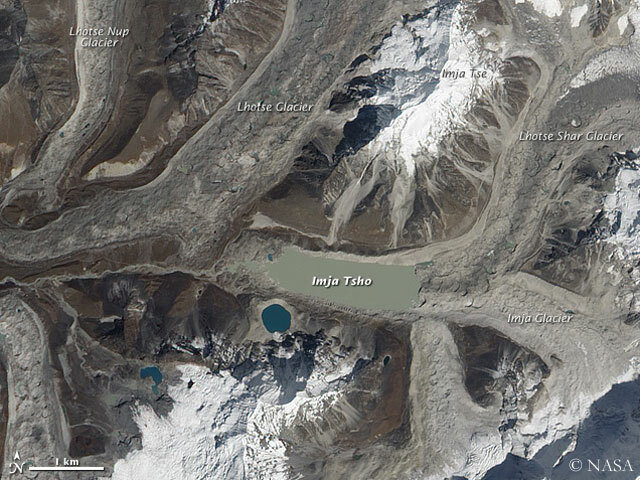 I sent Ueli three questions to Base Camp. At last! Many Western governments have now canceled their general travel warning for Nepal that they had imposed after the 25 April earthquake. Instead, they are now only warning not to travel to certain regions of the Himalayan state. So the German Foreign Office called the trekking regions Langtang and Manaslu problematic areas, where access “is not possible or only with considerable difficulties”. The British Foreign Office advises against traveling to these regions too and calls in addition the districts Sindhupalchowk and Dolakha. From the perspective of the German Government “particular caution is advised” when traveling in these or other areas that were hit hard by the quake. The US Department of State notes that “the frequency and severity of aftershocks have greatly diminished”, but encourages travelers “to consult carefully with their travel and trekking agencies for current, location-specific information and to heed warnings of potential danger”. All those governments point to a new problem in Nepal – a political one.